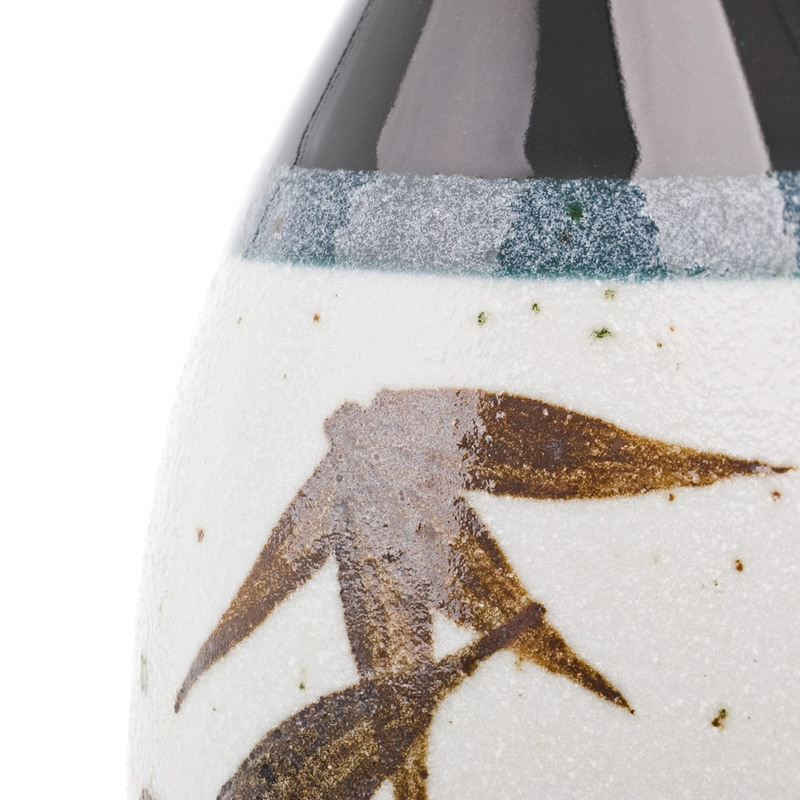 Sasa Japanese Sake Set has a lovely textured cream body and decorated with a very classy bamboo design! Pot: 15.5cm / 6 inches tall Cups: 4.5cm / 2 inches tall Gift Box: 19.5cm x 14 x 7.5 / 8 x 5.5 x 3 inches. Perfect for sake lovers - relax and enjoy your sake in the traditional Japanese style! 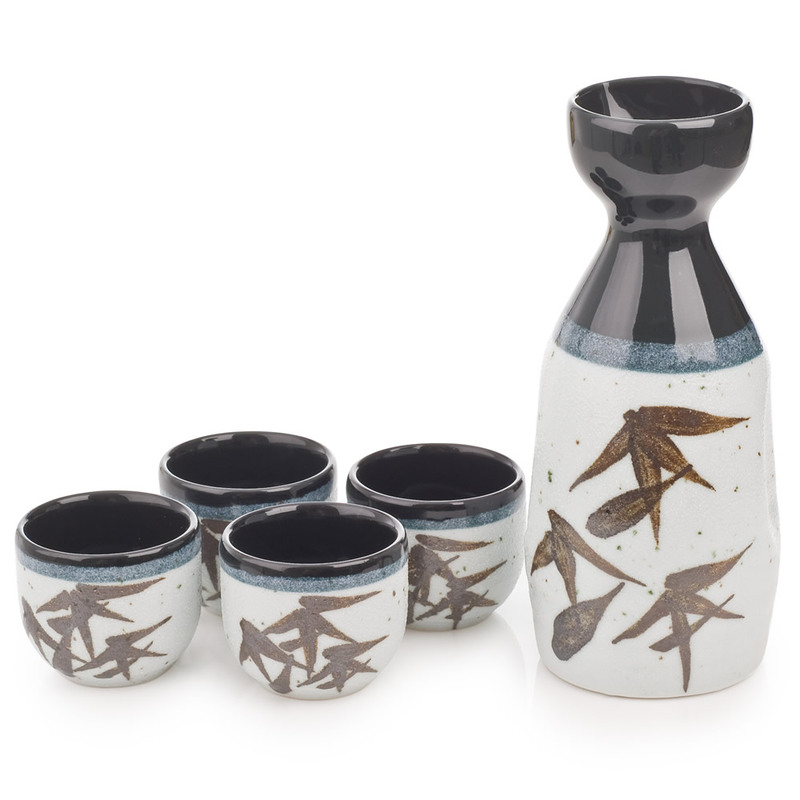 The Sasa Japanese Sake Set is a traditional Japanese sake set with a lovely textured cream body, decorated with bamboo (sasa) designs and a smooth shiny black top. Sake (pronounced sa-keh) is a delicious Japanese rice wine which can be enjoyed hot or cold and is excellent with sushi and sashimi! 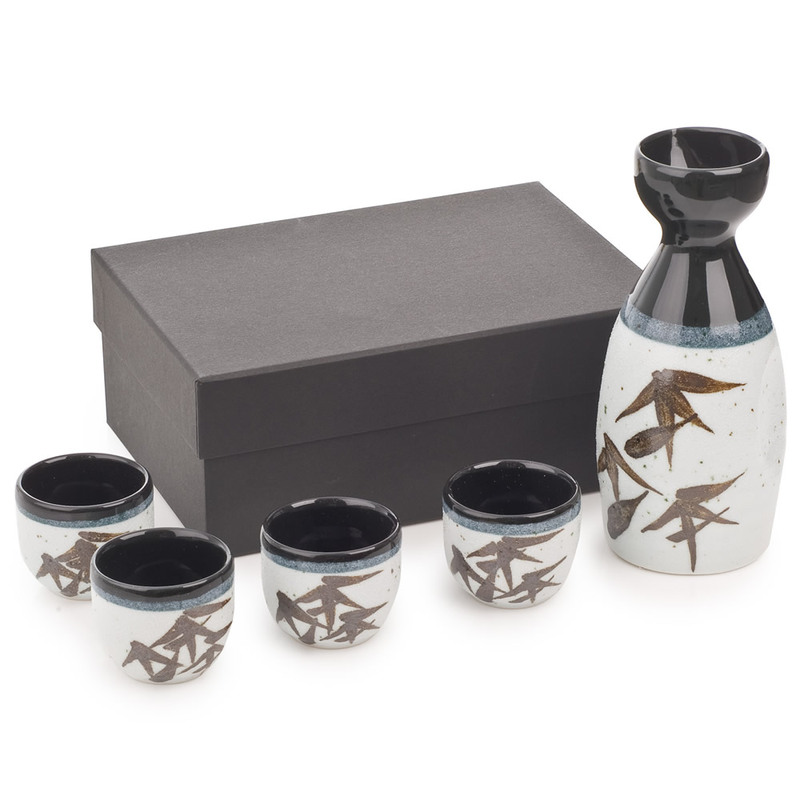 Exclusive to The Japanese Shop, the Sasa Japanese Sake Set contains a ceramic sake pot and 4 matching sake cups, all made in Japan and complete with a smart gift box would make an ideal present for all lovers of this popular Japanese drink! 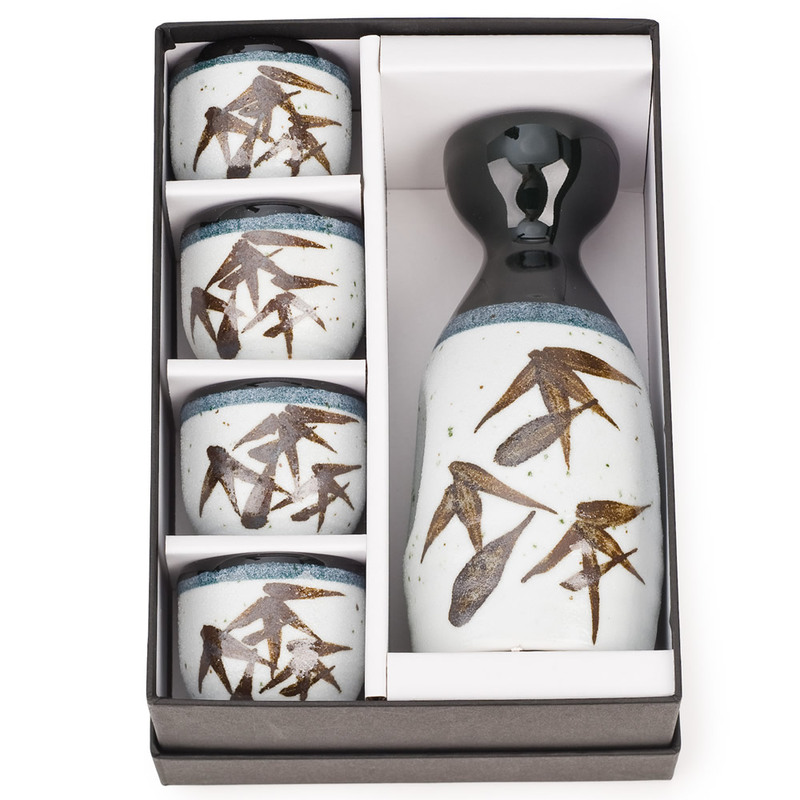 Order your Sasa Japanese Sake Sets online today and have them gift wrapped Japanese style free of charge, or visit our showroom for more authentic Japanese sake sets!